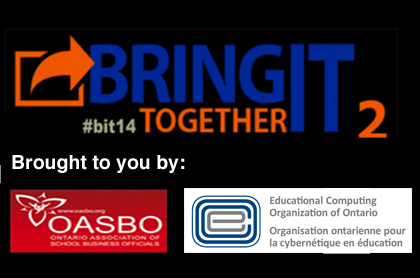 Last week I had the pleasure of attending and presenting at the Educational Computing Organization of Ontario’s Bring it All Together14 Conference. 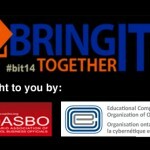 The line-up of keynote speakers was extraordinary with each presenter sharing their own perspective on technology, pedagogy, connection, creation and communication. Throughout the three days, participants were provided with a wide selection of sessions to attend. Presenters were well versed and obviously very passionate about the benefits of effectively using technology to engage students, staff and the broader educational community. The cheers, claps and head nods reinforced the messages that those of us in attendance believe to be true. I often hear people say that they don’t have the time to be more “connected” or that they are self-proclaimed luddites when it comes to using technology. We would never accept that excuse from our students, if we asked them to learn something new or something that was going to create the conditions for them to be more prepared to meet the future and yet somehow we feel, as educators, it’s acceptable. During a lunch break, David Fife and I met and chatted with Mark Carbone the Chief Information Officer for the Waterloo Region District School Board Ontario, Canada and our conversation turned to this very topic. I equated the world of technology to Wonderland and shared that it’s such an exciting place to be, I can’t imagine not sharing it with all my friends. In revisiting Alice in Wonderland, I found this quote, “I can’t go back to yesterday because I was a different person then”. 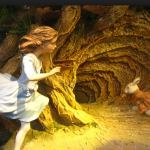 And just like Alice, I can’t imagine going back to a time when I didn’t have a connected Professional Learning Network. I learn so much from educators around the world who teach me, challenge me and motivate me to stay current and contemporary. 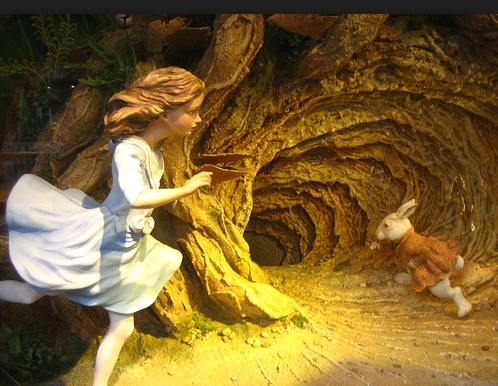 If you haven’t ventured down the rabbit hole yet, take a page from Alice and take the plunge. You’ll find it an incredible place to be.